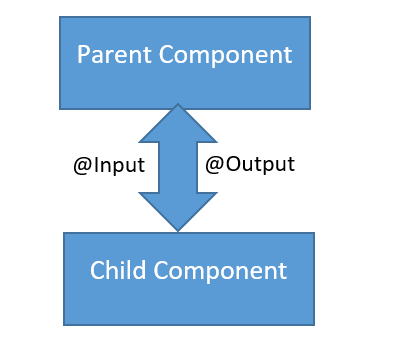 In this article, we will focus on how a child component can interact with a parent component using the @Input() property. We’ll also look into intercepting the input message and logging changes in the input message. Let us consider the components created in the listing below. We have created a component called AppChildComponent, which will be used inside another component. In the above listings, AppComonent is using AppChildComponent, hence AppComponent is the parent component and AppChildComponent is the child component. As you notice, we have modified the greetMessage property with the @Input() decorator. Also, we have implemented onInit, which will be used in demos later. So essentially, in the child component, we have decorated the greetMessage property with the @Input() decorator so that value of greetMessage property can be set from the parent component. Next, let us modify the parent component AppComponent to pass data to the child component. From the parent component, we are setting the value of the child component’s property greetMessage. To pass a value to the child component, we need to pass the child component property inside a square bracket and set its value to any property of parent component. We are passing the value of childmessage property from the parent component to the greetMessage property of the child component. We may have a requirement to intercept data passed from the parent component inside the child component. This can be done using getter and setter on the input property.